Cape Town is one of the world’s favourite cities and the most visited tourist destination in South Africa, with an extremely welcoming attitude towards visitors and an outstanding tourist infrastructure. The city is easily reached by Namibian travellers via direct flights from Windhoek and even by road. The trip from Windhoek to Cape Town comprises 1 480km of good safe roads and makes a fascinating road trip with many worthwhile and interesting stops along the way. Once you arrive you are assured of a wide range of high quality self-catering accommodation to choose from, as well as a range of superior hotels. We recommend the establishments currently available via Cape Town City Accommodation as among the best for travellers, with no limit on the number of days you can stay, close proximity to all the attractions of the city and the added benefit of catering to your own meals. Of course there is always the option of trying out some of the local specialities such as fresh seafood, and Malay cuisine, or a range of international dishes offered at top-class restaurants found throughout the city. Cape Town is well-known for its exceptional dining as well as tasty street food, and you will also be able to find all the familiar fast food franchises within easy reach for a quick bite as you dash from one exciting place to the next. No trip to Cape Town is complete without sampling some of the Cape’s world famous wines, brandies and bubbly. These can be savoured along with your meal or purchased on a trip to the nearby wine lands, where you can learn the art of pairing the correct vintage with everything from chocolate to cheese or simply explore the beauty of your surroundings, on foot, horseback or by bicycle. There are many things to do in Cape Town itself – enough to suit every kind of traveller. With two oceans to choose from, the Atlantic and Indian, you can surf, sunbathe, scuba dive and even visit the great white sharks on their home turf. If the middle ground is more your thing then the V&A Waterfront offers opportunities for boating, shopping, entertainment, or gawking at the inhabitants of the Two Oceans Aquarium. This is also the departure point for trips to the historic Robben Island and tours of all the city attractions on organised bus tours, as well as museums and superb restaurants. 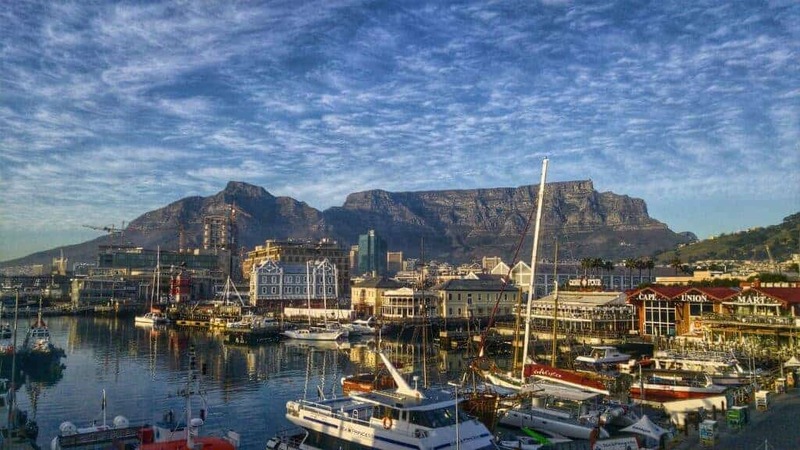 Table Mountain is the most iconic feature of Cape Town, offering beautiful views of the city from its flat-topped summit after a breath-taking ride in a cable car, or exhilarating hike up its slopes. Explore the magnificent biodiversity of the unique Cape Floral Kingdom on a visit to the famous Kirstenbosch National Botanical Gardens, found on the slopes of the Mountain, or around the outer-lying small towns with their dramatic floral displays during the springtime. Museums, theatres and art galleries abound in Cape Town, which is regarded as one of the world’s design capitals, and there is no shortage of cinemas and malls for your amusement either. There is always something on the go in the Cape, regardless of the season, and the Mother City is a preferred destination for many international sporting events and music concerts, which take place at state-of-the art venues across the city. Add to that regular fixtures such as dramatic productions, art exhibits, wine festivals, live entertainment, sporting events, horse racing, street markets and numerous other annual, monthly and weekly events and you will find yourself with no shortage of entertainment while visiting the Mother City. By far the best way to discover the delights of Cape Town is to see for yourself, so don’t take our word for it – get packing and just go! Currently, Namibian citizens do not require a visa to travel to South Africa, but it pays to check travel requirements before you set off to any foreign country.